After reaching the first page of Google, ranking your blog becomes more about on page SEO then off page SEO. Things like site loading speed, bounce rate etc become very important as Google wants to provide the best results possible. So whoever wins in the terms of quality also wins the SERP battle. However lots of bloggers don't keep this in mind while creating their blog, they choose blog designs which are fancy but very slow to load and hard to navigate, and then they wonder why they are stuck in the 2nd position. 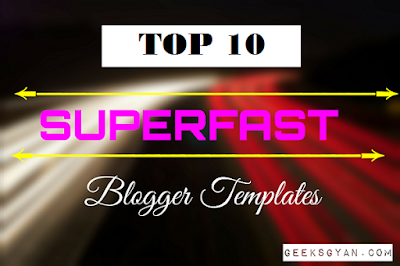 That's why today we have brought you a list of 10 best blogger templates which are also fast loading to ensure the best result. 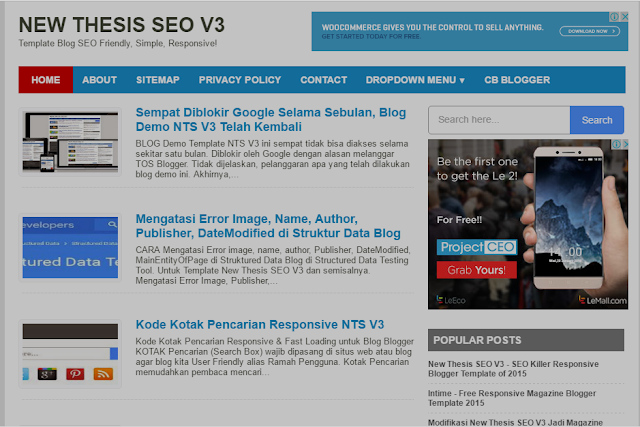 SEO Thesis is superfast loading Blogger template.It is perfect For News magazine and Personal blogs. It has many features like Fast Loading, SEO Friendly,Responsive, Visitor Friendly, Dynamic heading, Auto read more Function. 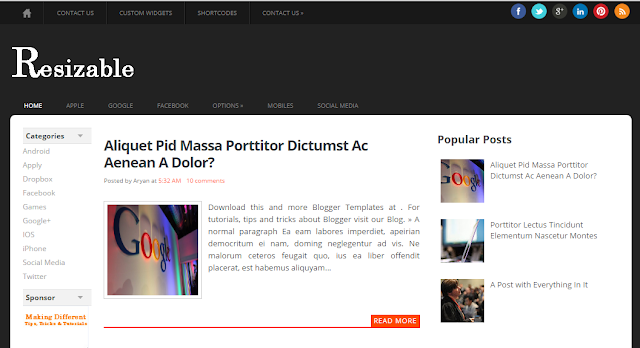 Fast Edition blogger Template is very Fast loading blogger template. Resizable is another fast loading template with highly Responsive design and awesome features.Resizable is the perfect template for news site,blogs, and magazine.It has super cooled Social media sharing buttons. It is the second version of Supreme blogger template which loads faster than the previous version.It has a cool looking design with awesome popular post widget and Footer widgets. Neo Responsive V2 is very fast loading SEO optimized and Responsive Blogger Template.It is perfect For Personal Magazine Sites.It looks cool with an awesome font,Custom 404 Page,Subscribe Mail Widget and much more. News pro is one of the best templates when it comes to having a simple but effective design, yes there are many different templates which are simple but they fail to create the classy look News Pro provides. Whenever someone asks me to suggest them any simple and effective blogger templates which they can use on their niche or micro niche blog then I suggest them News Pro without thinking twice. However, the only problem is that the developer hasn't introduced a responsive version of the template yet meaning you'll have to use any of the default blogger templates for mobile. Technology is probably the largest niche containing the most number of blogs in comparison to any niche, to become a blogger you need to be tech friendly so most of the bloggers start their websites as a tech blog owner. And when it comes to tech blog templates which are fast enough, there is probably no better template than Tech Shadow. Yes, the design is a bit outdated but it still fits the needs of a tech blog. After all, if I open a blog to read a review about a fridge or tv, and it looks like a page 3 blog filled with colors and sneaky widgets, then it's most likely that I'll hit the back button as soon as possible. In their first few years of blogging, people often neglect other kinds of income sources and concentrate only on Adsense, while this strategy is good for making money in a short span, you'll slowly realize that in long term affiliate marketing is far better. However unlike Adsense, affiliate marketing demands a more personal relationship with each one of your customers, and creating email lists is one of the best ways of doing so. That's why Elice gives you a very powerful 'subscribe via email' widget, which helps you to make a strong relationship with your customer in the long term. Apart from this, the template is simple and classy to help you maintain your blog's brand image. If you are really keen on making your blog fancy, but still want it to load fast, then Sensational is probably the best option for you. However Sensational has the minimum number of scripts which gives a boost to your page speed and the multi-colored look allows you to enjoy a magazine-alike feel. And finally, the best templates are those which only need to be downloaded once and then you don't need to look out for any other template ever again. It's almost impossible to believe how beautifully this template is made. The two main colors in black and white often make any template dull, however here they make the web page look extremely lively and you can use it on any niche you like. 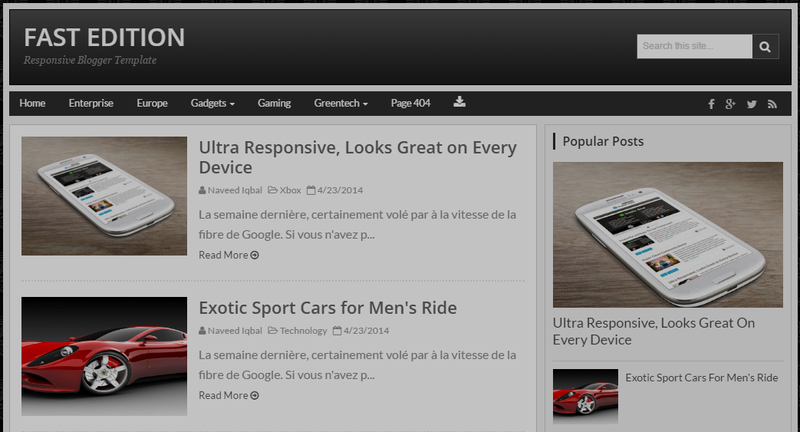 Plus the qualities like responsive design and a simple yet catchy sidebar makes it the best on the list. Which one of these templates you liked the most? Do you know any better templates which deserve to be a part of this list? Do let us know in the comments box. 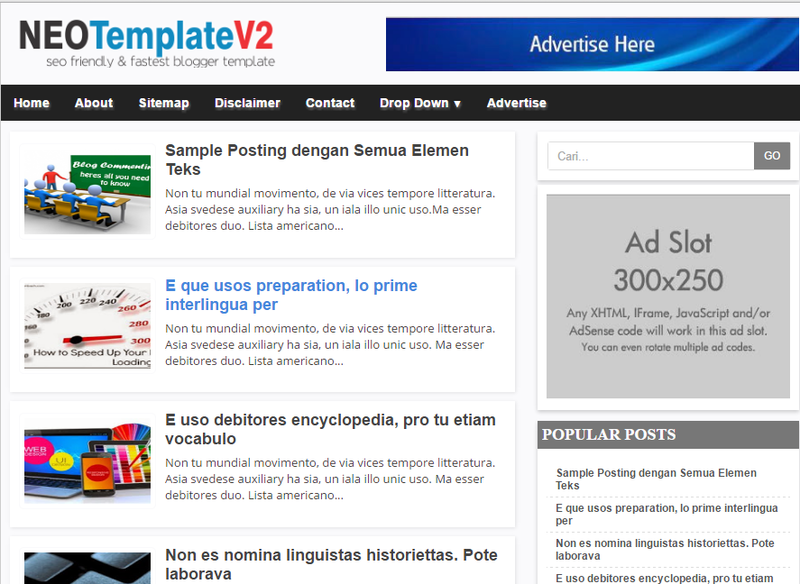 This is a very good list of all blogger templates, sure these templates will help many bloggers.